Subject: Antique print, untitled. 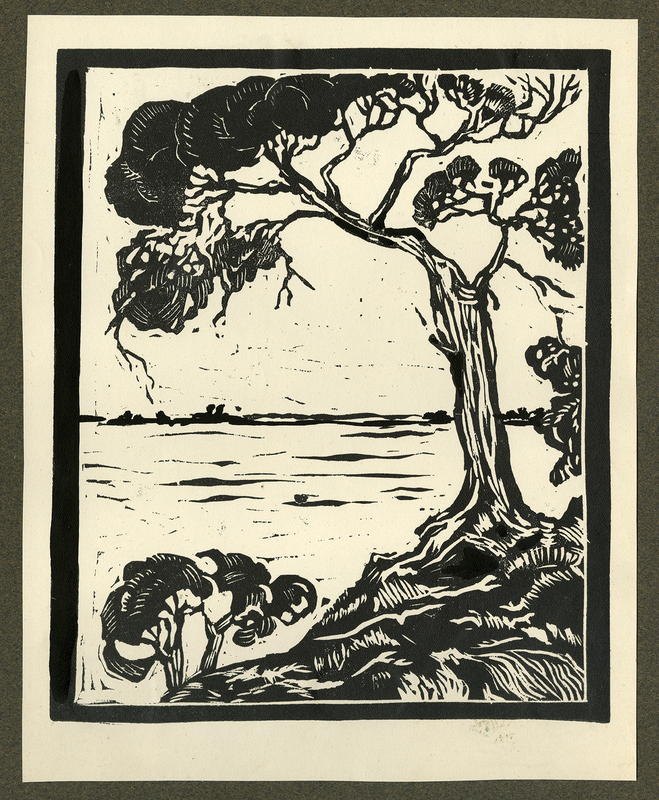 This print shows a landscape with tree and a low bush. Unsigned. Condition: Excellent, given age. Attached to carrier sheet. General age-related toning and/or occasional minor defects from handling. Please study scan carefully. Medium: Linocut on wove paper. Size (in cm): The overall size is ca. 18.3 x 22.8 cm. The image size is ca. 16.7 x 20 cm. Size (in inch): The overall size is ca. 7.2 x 9 inch. The image size is ca. 6.6 x 7.9 inch. Artists and Engravers: Made by 'Anton Polman' after an anonymous artist. Anton Polman (1911 - ca. 1980), active in Nijmegen from 1930-1978.